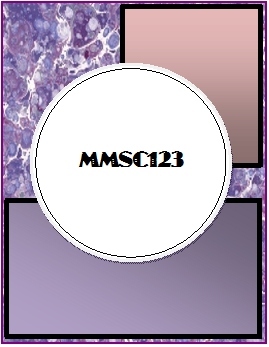 Our MMSC123 Weekly Bonus Sponsor is.. I was asked to review My Memories Suite. 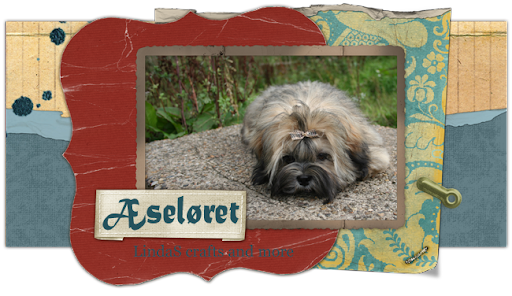 My Memories Suite version 2 software is a complete digital scrapbooking solution that provides a powerful set of creative tools and multiple sharing options that no other software can offer. Its intuitive workspace and enhanced time-saving features are perfect for a beginner to build an entire album in minutes, or to empower the design pro to build a scrapbook album masterpiece. I have yet to really get to play with this awesome software, but it sure looks cool and really easy to use. Thank you so much My Memories!!! Card reciepe: Sweet Pea Flowers Digital Stamp from "prisciallastyles" colored with Copi Ciao and added TH Glitter/bling. PP/Buttons/brads: Basic Grey. Flowers; Spellbinders; lacey Circles x 3. 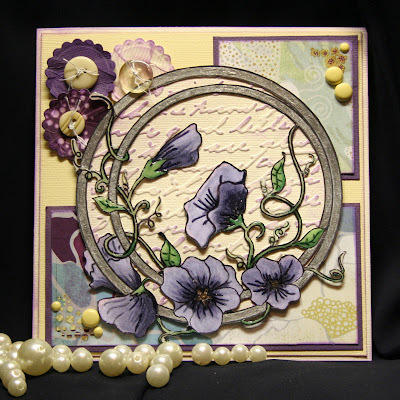 Stampin' B's Challenge #129 - Use two or more Spellbinders to make a card. Make it Monday #56 - It is ANYTHING GOES every week. Beautiful card Linda. I love the image and your colouring - they team really well with the papers and embellishments. Holie camolie girl, look at this card! A masterpiece for sure, just stunning! I am still trying to figure out how you cut this out, I would have so botched it up! Truly an amazing piece of art!!! Ooh Linda, this is just stunning! I love how you cut the image, what patience! Fantastic design and colors, this really pops with your embossing! wow- great card for a special someone! love the buttons and the image is colored beautifully! thanks for sharing it with us at Paper Creations Ink! draw to your gorgeous looking card. Love it to bits. thanks for joining us at Sweet Stampin'...and good luck...! This is just so beautiful! I really love the flowers over the writing and the circles you used. Enchanting! 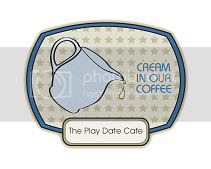 Saw it over at Make It Monday! Oh, this is fabulous! 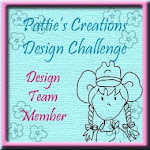 Thanks for playing along with the Stampin' B's DT this week! Wowza, Linda! This is absolutely gorgeous! What incredible fancy cutting of the image. Love your elegant interpretation of the sketch. Wow what a pretty card. Love your coloring of Priscilla's digital. Beautifully designed through and through. Linda! This is FABULOUS! Wow, what a beautiful card. I saw your project on MIM and came for another look. Ps) I have some ‘no strings attached’ blog candy up if you’d like to have a peek. 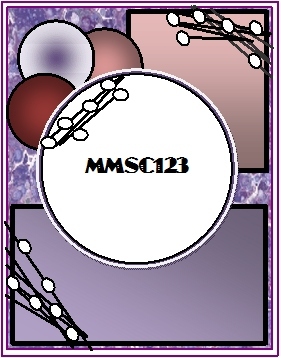 Saw your card on MIM - Love this image, and your colouring is gorgeous. Hi there .Here is an awesome card design . Love the centre piece and the collection of papers . When commenting on another’s MIM entry don’t forget to mention that you saw it on MIM and the more entries you comment on in this way, the more chances you have of winning. This is gorgeous, Linda! Thanks so much for joining us at Get Hippity with Ippity. Hope to see you again!